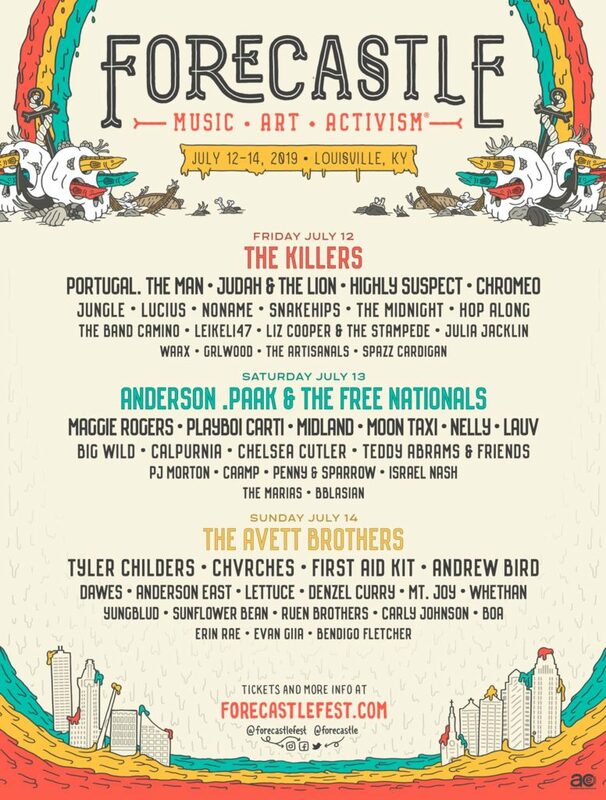 The lineup for the 2019 Forecastle Music & Art Festival is out! The 2019 Forecastle will be located at Waterfront Park in Louisville, KY during the weekend of July 12 – 14. Headliners include The Killers, Anderson .Paak & The Free Nationals, The Avett Brothers, Portugal. The Man, Maggie Rogers, Nelly, Moon Taxi, Tyler Childers, Chvrches, Playboi Carti, & more! Tickets go on sale Wednesday (2/13) at 10am! If you haven’t already, be sure to follow us on Facebook, Twitter, and Instagram to stay up to date and even be the first to know about our Gear and Ticket giveaways.